Beautiful 2 bedroom, 2 bathroom flat with panoramic views on muizenberg beach. Panoramic views from Gordon's Bay to Cape Point this well appointed two bedroom apartment is perfect for a relaxing holiday anytime of the year. Muizenburg beach is one of the best surfing beaches in the world especially for beginners. Its long rolling sets of waves make it an ideal beach for learning and long board surfing. The area is an up and coming and great for people looking for a more laid back surfing holiday. 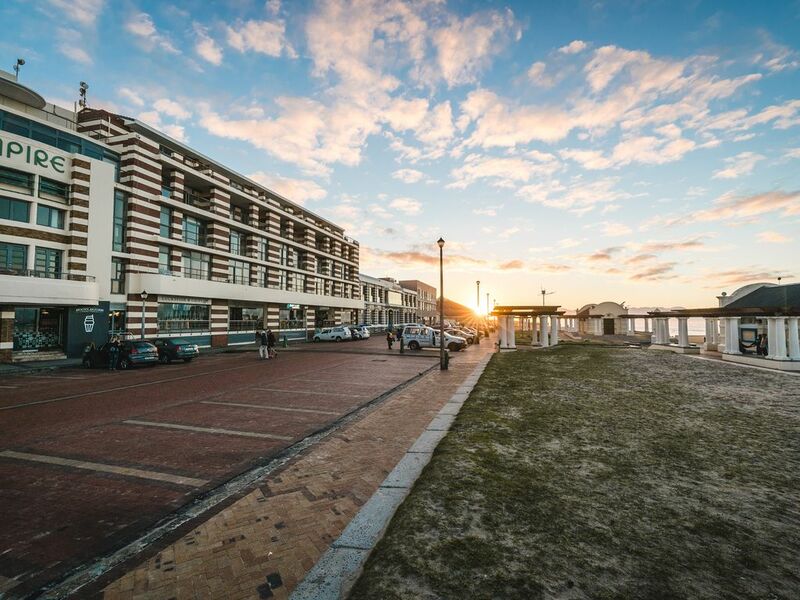 The flat is located on the beachfront "strip", with prized off street parking and access to cute coffee shops, restaurants and many surf shops. The apartment has unrestricted views of the beach and surrounding mountainous areas. It is a well proportioned two bedroom, two bathroom apartment with an open planning kitchen dining area and balcony overlooking the beach. Muizenberg is close to St James and Kalk bay and not too far from Simon's Town (which is where the Penguins can be found on Boulder's beach) and Cape Point. It is a great location if you want to stay in a laid back environment right on the beach.